A few weeks ago we were all sitting in the house having a meeting. It had already been decided that a blog had to be written to let people know who we are and what we are about. Now from time to time I am hoping to get input on this blog from other family members (by family I’m including past and present staff members, maybe I’ll refer to them as Pappagallites.) But for know, I’m elected to write these. I got out voted 3-1 and apparently presidential veto only exists in Washington DC. I sat down to write these entries and I immediately started to notice a pattern, a “culture” as our web design team calls it. Culture was a term the website team used to describe what the attitude of Pappagallo’s Satellite Beach represents, I still don’t know what that means but I’m writing this blog and as I said I’m noticing a pattern. The pattern is, I start to write about a subject, maybe it’s quality, maybe it’s ingredients or maybe even about community support. I get a few paragraphs into the blog and I notice that whatever I started to write about has reminded me of a story or a specific person that I only know because of Pappagallo’s restaurant in Satellite Beach. So I hope you’re reading this entry before any of the other ones I’ve written and if this is the only one of our blogs you read that’s ok too. So what is Pappagallo’s and what is our culture? Pappagallo’s is a restaurant in Satellite Beach which started in 1990 as a 1 man 5 booth operation on Eau Gallie Boulevard in Indian Harbor Beach, to its current location with 151 seats and close to 50 employees in Satellite Beach. It’s been an amazing roller coaster ride that I wouldn’t trade for the world but there have been days when I would have given you the keys everything in that place for a beer and a half pack of cigarettes, I’m totally kidding. I don’t drink or smoke so that trade would never work. So back to my subject “Pappagallo’s culture” what does that even mean? After thinking about it and rereading some of my first blog entries I realized that Pappagallo’s Satellite Beach is about food, I mean to say we come in every day and do our best to serve the best freshest meals at very reasonable prices. That pays the bills and gives us a place to do what Pappagallo’s restaurant is really about, at least to me anyway. 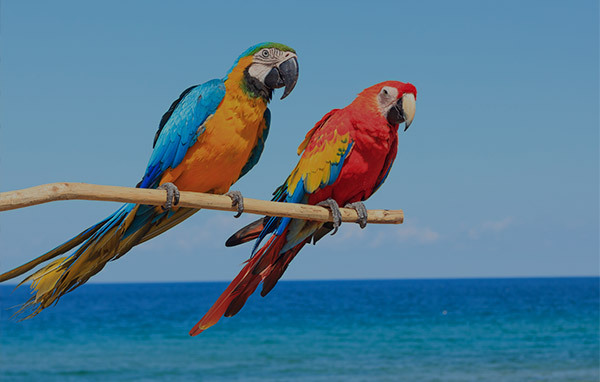 Pappagallo’s means parrot in Italian but in Satellite Beach, at our restaurant, it stands for people. This was the reason that every time I tried to express why our restaurant was so different than others it always ended up being a story about people and circumstances that involve people. By people I mean the crew and loyal patrons, I mean the crew members from years past that stop by to visit, to friends that come in so often that their unique meal of choice will end up named after them. I’m going to be a little bold here and say that after almost 30 years it’s obvious that we set out to serve quality food and we keep that standard or we would have disappeared years ago. So here I am writing these blogs and our “culture” and it comes down to our people and our community. My favorite part of the holidays is knowing that past Pappagallites are going to come home to see their family and at some point they’ll come by to catch up with what’s going on at “Pappa’s” . “Pappa’s” is short for Pappagallo’s so don’t get any ideas about calling me gramma or old. Pappagalllo’s Satellite Beach has provided me with a vehicle to be involved with lives of so many people that I never would have met if it wasn’t for pizza. I get to spend time watching these young people grow from never having a job to a few years later when they’re moving on. They’re training their replacement for the same position they held through high school. Every group or “generation” at Pappagallo’s Satellite Beach brings a couple new hires that I get to watch go from literally kids to being able to handle a job in customer service (no easy task.) I watch “audio procurement specialists and on site procurement advisors,” fancy titles for the people who answer the phone and servers in the restaurant, handle two phone lines and collecting take out orders. Servers that handle 25-30 people at once and never skip a beat. I’m a proud parent who gets to see these kids grow up and I’m even more proud when they come back 20 years later to tell me that Pappagallo’s was the best job they ever had. Pizza pays the bills and I’m very proud of every thing we serve but it’s the people that have kept me working these ridiculous hours that restaurant lives requires. I can honestly say I have never come to work and not had at least a few good laughs just by interaction with our crew. The stories contained on our blog section may start with how we prepare a certain dish or maybe an upcoming special or maybe a special event we are introducing, but let me pre apologize because every meal ,special, or event will remind me of a particular person and I’ll have to tell you all about them. After almost 30 years in the same community I’ve watched so many kids grow into adults with their own kids, to date we have had 3 second generation pappagallites, meaning one of their parents worked with us. One such young lady was here for the summer last year before she went to attend college in south Florida. It was the most interesting interview I ever conducted. I was in the back doing prep and a staffer came back and said there’s a young lady here to see you. I went out front and asked what i could help her with. She had a familiar smile but I never met her, correction I met her when she was in elementary school but hadn’t figured that out yet. Payge told me, “I’m here with at grandparents for the next few months before I go away to school in the fall, my mom told me I had to get a part time job while I’m here and I had to work here with you.” I politely asked who her mom was, she told me and I quickly realized this was one of the kids that had moved to Georgia with her family several years earlier. Christie (her mom) had worked for us 20 plus years ago. Of course with a reference like “my mom says I have to work here,” I had to hire her. I sent Christie and message on Facebook and told her that Payge would be working with us. Christie thanked me and said that she wanted her to work for us because this was the best job she ever had and I was the best boss in the world (ok I made the boss part up). Payge started working right away and I tell you, that apple didn’t fall far from the tree. I swear I would hear her say something or make a face about something and it was instantly 20 years ago and it was her mom standing there, same mannerisms same voice, it always made me laugh. What I’m getting at is, that type of “day at the office“ happens almost every day in one way or another and that’s what keeps me doing what I do. I like spinning pizzas, I like prepping 3 varieties of fried cheese individually by hand. I like the never ending prep list that Pappagallo’s generates, but the people … I love the people. Guess that’s why I’ll still be here until the day comes when I throw my last pie. I have been asked if I’ll ever retire, retire from what, you retire from a job. Pappagallo’s Satellite Beach is more than a job and I still love what I do and the people I get to do it with. Plus I got way too many stories that I need to get out to anyone who is bored enough to read a blog on a restaurants web page.